AMD is planning to launch a brand new GPU architecture next year, or so we are led to believe if the latest information from VideoCardz and HardwareBattle is to be believed. This new architecture that is set to replace Graphics Core Next will allegedly be known as 'Polaris'. The information comes from a picture obtained by HardwareBattle, which includes text that introduces the "Polaris Architecture". 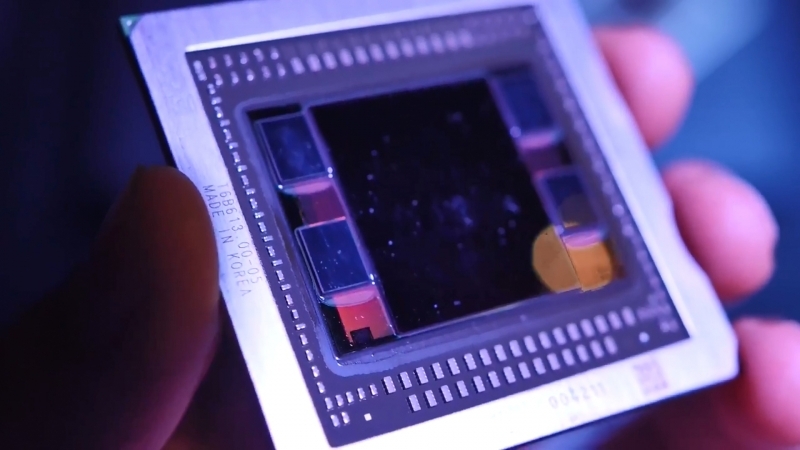 AMD appears to have chosen the name as it refers to the brightest star in the constellation Ursa Minor, with the picture stating that "stars are the most efficient photon generators of our universe". The picture goes on to say that the efficiency of stars "is the inspiration for every pixel we generate", a reference to Polaris' rumored focus on energy efficiency. Not much else is known about this new architecure, although it's expected to be seen in the upcoming Radeon 400 series, codenamed 'Arctic Islands'. This isn't the first time we've heard the name Polaris referenced by AMD employees. Cryptic tweets from Chris Hook, AMD's Marketing Director, and Raja Koduri, head of the Radeon Technologies Group, referred to Polaris back in November, 2015. Koduri's tweet in particular refers to Polaris being "2.5 times brighter today than when Ptolemy observed it in 169 A.D". Is this a hint at what is in store for Polaris' performance? We'll just have to wait until 2016 when the architecture will be formally revealed.